My comment here isn’t specifically about this project, because most APIs continue to use this convention. I don’t get why APIs continue to come out requiring complex EJB-style XML config, in three different files no less. Learn from Rails and Pico and use code for config. “Anyone can edit it, not just programmers”. And if you believe that, you’re still waiting for your manager to learn FORTRAN and COBOL, thus rendering programmers obsolete. Mwuhahah. Obselete, I’ll tells ya. “It can be changed at runtime, no compilation required.” This might occasionally be useful if the app’s shipped off to another site, but that’s a slim minority – it will either be a hosted app which you can easily re-deploy after re-compiling (as with these widgets) or a desktop app which will hopefully offer a nice config UI rather than requiring the user to hack some XML files! We like to develop standards to serve the vast majority, not the slim minority. “It’s neater.” In any modern language, you can easily develop an API that lets you perform configuration with a grammar resembling a domain-specific language. I don’t consider the above XML to be particularly neat, nor most EJB descriptors I’ve come across. “It can be validated.” True, you can check the file’s grammar, but you can’t validate that a given attribute must be a class in your program, for instance. With code-based config, you can. XML Data Island Retain XML responses as “XML Data Islands”, nodes within the HTML DOM. Browser-Side XSLT Apply XSLT to convert XML Messages into XHTML. Browser-Side Templating Produce browser-side templates and call on a suitable browser-side framework to render them as HTML. Cross-Browser Component Create cross-browser components, allowing programmers to reuse them without regard for browser compatibility. Continuing from the previous podcast (cough 12 weeks ago), more programming patterns. Unfortunately, this recording (and the next one) went pear-shaped. Sorry. I do, however, recommend them to those of you who’ve been wondering what an Ajax talk would have sounded like in crackly 1930s recording technology, and one in which the speaker has a severe cold. FYI The level was too low and it didn’t correct very well…maybe one day, I’ll re-record, but for now I’d prefer to just get them out there as they have been sitting in the libsyn archive for many weeks. Call Tracking Accommodate busy user behaviour by allocating a new XMLHttpRequest object for each request. See Richard Schwartz’s blog entry.Note: Pending some rewrite to take into account request-locking etc. Periodic Refresh The browser refreshs volatile information by periodically polling the server. Distributed Events Keep objects synchronised with an event mechanism. Cross-Domain Proxy Allow the browser to communicate with other domains by server-based mediation. 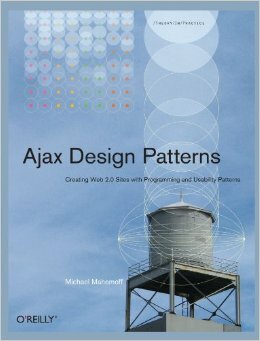 As promised, a new series of Ajax pattern podcasts. 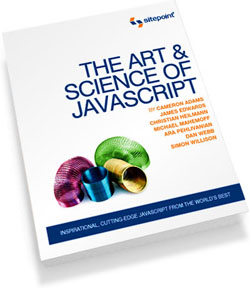 This is the first of four podcasts on the Ajax programming patterns. In this 73 minute podcast, we look at the seven patterns of web services as they relate to Ajax clients. As with all the demos, they’re tested on FF and IE6, please let me know if anything breaks. Web Services patterns are about overall browser-server architecture – what kinds of services and what kinds of messages? It’s relevant to the conversation of Jon Tiersen and others about what sort of responses are possible – XML, JS, HTML, JSON. It’s also relevant to another recent conversation, on [http://www.theserverside.com/news/thread.tss?thread_id=35979 Ajax and webservices], as it covers REST and RPC. Browser-Server Dialogue covers a mixed bag of patterns about XMLHttpRequest handling and what you can do with it, such as loading JS on demand. DOM Population is about transforming incoming XML into DOM content, e.g. XSLT. Performance Optimisation covers a variety of performance patterns such as caching and pre-fetching. Breakout (can you think of a better name) is about going beyond standard Ajax constraints, namely using a server-side mediator to access external domains and introducing a plugin to go where no Ajax app is allowed to go. Code Generation and Reuse is strongly related to some of the emerging frameworks like Echo2 and SAJAX. RESTful Service Expose web services according to RESTful principles. RPC Service Expose web services as Remote Procedural Calls (RPCs). HTML Response Have the server generate HTML snippets to be displayed in the browser. Semantic Response Have the server respond with abstract, semantic, data. Plain-Text Message Pass simple messages between server and browser in plain-text format. XML Message Pass messages between server and browser in XML format. Call Tracking Accommodate busy user behaviour by allocating a new XMLHtpRequest object for each request. See Richard Schwartz’s blog entry (http://smokey.rhs.com/web/blog/poweroftheschwartz.nsf/d6plinks/RSCZ-6CEQAR).Note: Pending some rewrite to take into account request-locking etc. Fat Client Create a rich, browser-based, client by performing remote calls only when there is no way to achieve the same effect in the browser. Browser-Side Cache Maintain a local cache of information. Guesstimate Instead of grabbing real data from the server, make a guesstimate that’s good enough for most user’s needs. Multi-Stage Download Quickly download the page structure with a standard request, then populate it with further requests. Predictive Fetch Anticipate likely user actions and pre-load the required data. Cross-Domain Mediator Allow the browser to communicate with other domains by server-based mediation. Richer Plugin Make your application “more Ajax than Ajax” with a Richer Plugin. Ajax Stub Use an “Ajax Stub” framework which allows browser scripts to directly invoke server-side operations, without having to worry about the details of XMLHttpRequest and HTTP transfer. Aside I was interviewed yesterday for a Japanese magazine about how I’m using the wiki. So maybe some people will be interested to know that I always write the patterns offline because I am more creative in Vim and also to avoid textarea hell. (So much for Writely, will anyone create Vimly, there’s gotta be more money it than cloning MS-Word online :-D). I also use the Mozex or ViewSourceWith extensions to make partial edits using Vim.